If you read our expert tips featured on Real Simple a while back, you know we love Minted invitations + stationery, and so do our brides. 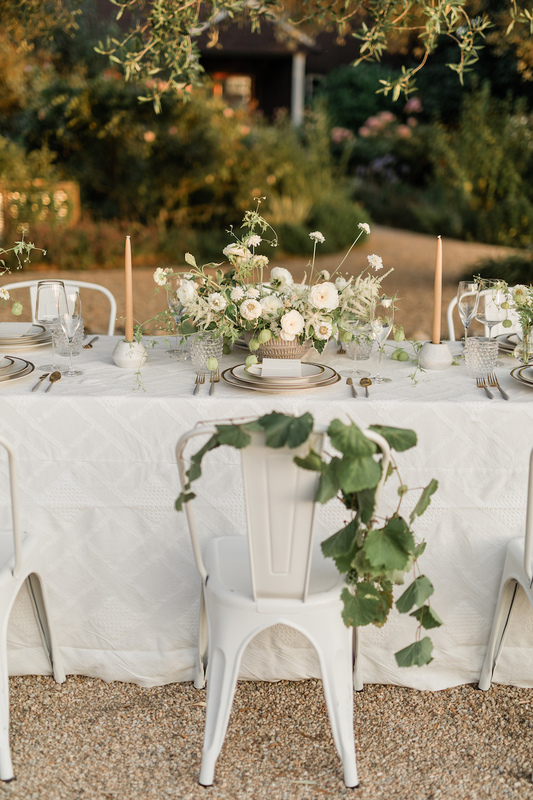 Today, we are so excited to announce that we are one of Minted's preferred wedding planners! To celebrate, we are sharing two dreamy + ethereal vineyard designs featuring beautiful invitations from Minted! 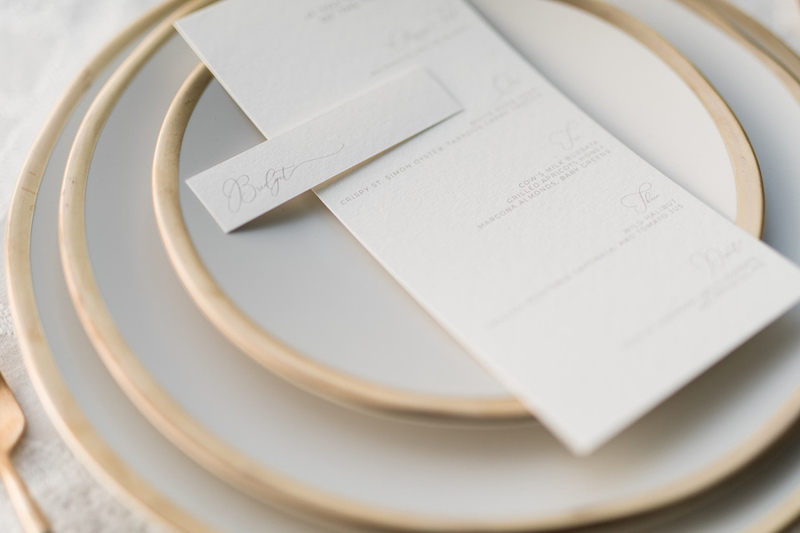 In addition, Minted is offering 20% off wedding products for ROQUE's exclusive clients. Please inquire to receive more information. 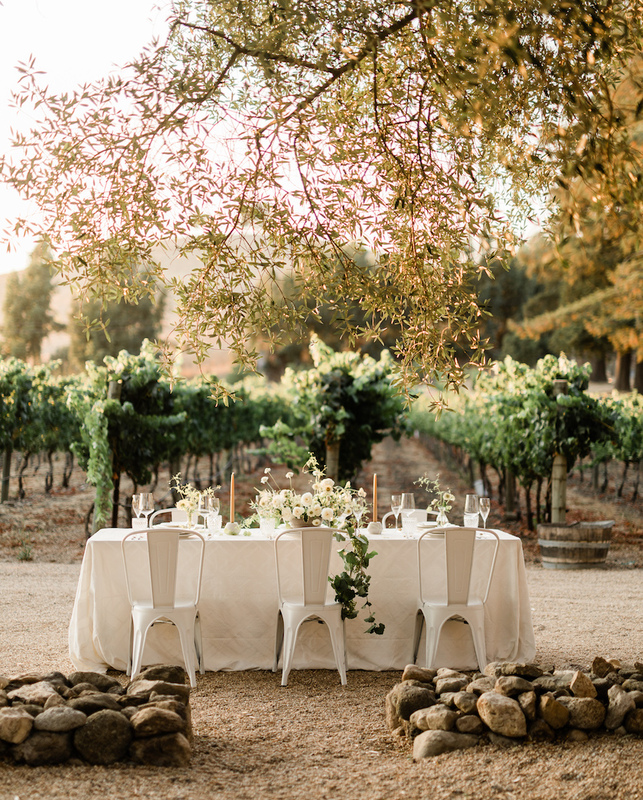 Napa Valley is so gorgeous right now so we wanted to capture the essence of its beauty right at sunset. 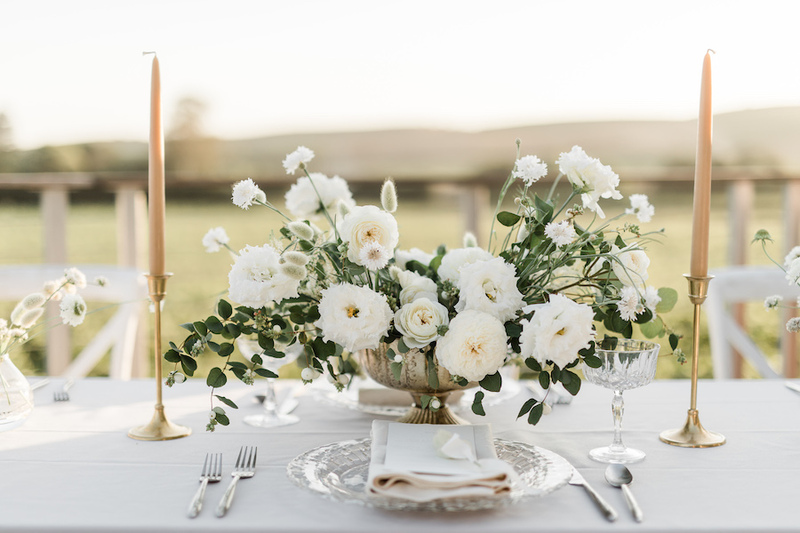 With tones of grey, ivory, gold, and green the vision was brought to life by our fabulous team of vendors: Encore Events Rentals, La Tavola Linen, Laura Lambrix Designs, Flower Girl Em, Minted Weddings and captured by c.m. elle studios. We absolutely loved showcasing the new Terra Linen Gold Rim China from Encore, they are absolutely divine. Their latest crystal Savannah Charger stole the show on our second look. We created movement and appeal with whimsical fresh floral centerpieces that elevated both looks accented by butterscotch taper candles and quaint bud vases. We always love working with Laura Lambrix Designs to bring her talent through menu and place card design - innovative + chic was our theme. 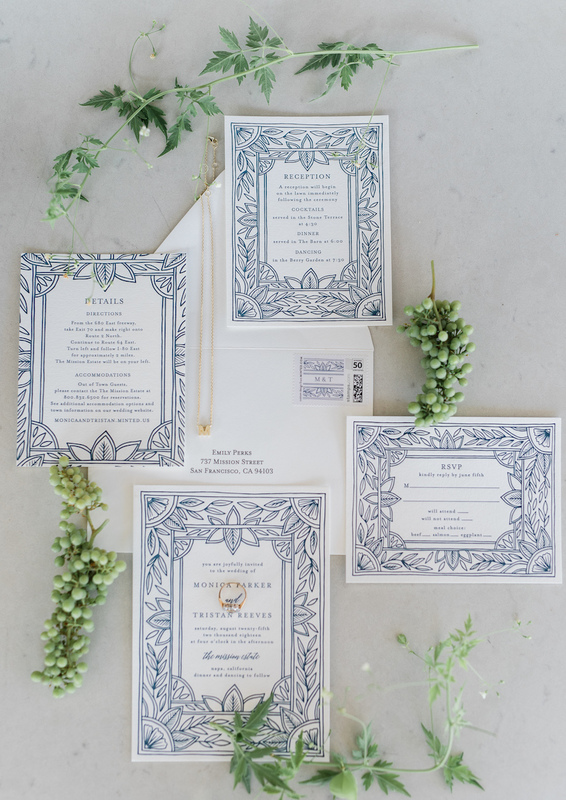 Our latest partnership with Minted Weddings has been wonderful and we could not be more proud to showcase their stunning letterpress invitation suites in this shoot. 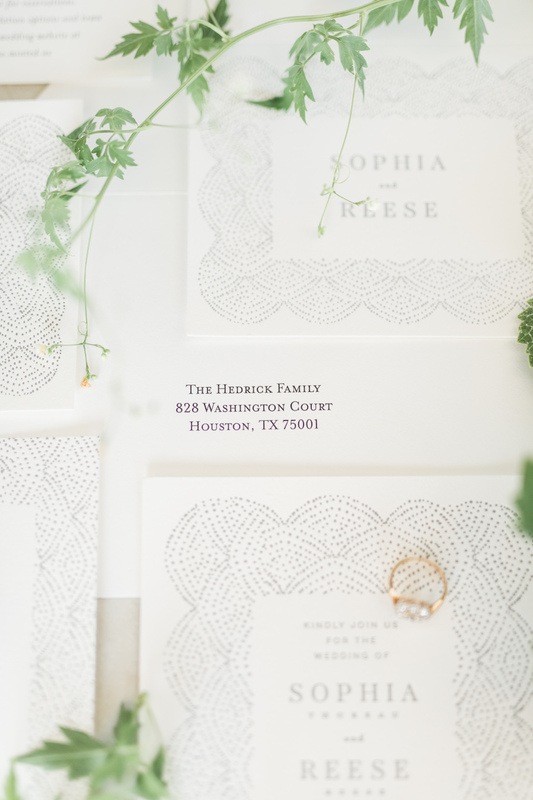 Featured in the first look is Minted's formal wedding invitation by Lori Wemple. 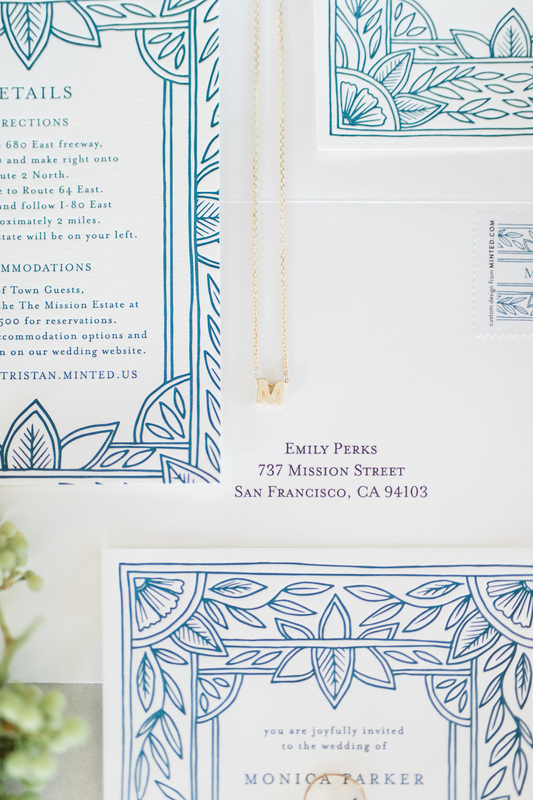 The second look features Minted's handmade ornate frame letterpress wedding invitation by Katharine Watson. We hope you love the designs as much as we do!